After a healthy opening day, there is further good news for Salman Khan’s Dr. Cabbie. 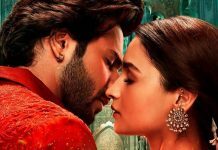 The film has ensured a steady run over the weekend with 702,000 dollars* collecting on just 55 screens, hence resulting in a screen average of ~13000 dollars. This is the highest screen average for any film in Canada and USA for the weekend. Not just that as the Vinay Virmani starrer has also enjoyed the Best opening weekend ever for any Canadian or Indian production. So far, the Best Opening weekend for an Indian movie has been Dhoom 3 at 459,000 dollars* (and that too during Christmas holiday). With Dr. Cabbie comfortably leaving these numbers behind, it is set for a good run in Canada. The weekend numbers have now made Dr. Cabbie highest grossing Canadian film on the opening weekend. 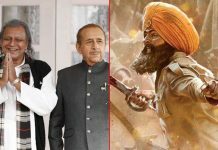 The film would now be travelling internationally and the co-producers (Eone Entertainment and Eros International) are set to share their plans very soon. Salman Khan in an interview in Canada also stated that this noble film – which is so close to his heart – will be a treat for the Indian audiences and he has special plans for that. This is the power of Salman Bhai! he promoted Dr. Cabbie in Canada & you can see the result, that it has beaten the Canadian figures of Dhoom 3 by a big margin, so, just wait and watch for upcoming movie of Salman Bhai, it will definitely thrash all the records set by Dhoom 3, and will create new benchmarks for upcoming movies to beat, such as 300 crores domestically and 600 crores worldwide. Salman Khan is great the Most Popular Hero of the Masses ! Congrats .. Watched the movie to packed house. Very interesting. Salman, I love you…. mmwah! !